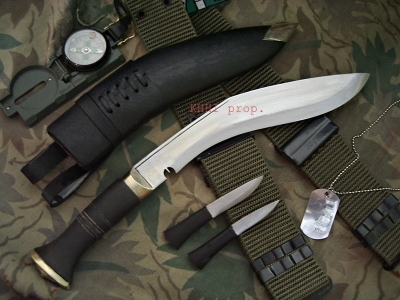 A special kukri knife made for soldiers serving in the desert of Iraq and middle-east..
A special kukri knife from KHHI nepal hand forged to serve soldiers serving in Iraq and middle-east assigned to the "Operation Iraqi Freedom" mission of the coalition force led by US military. 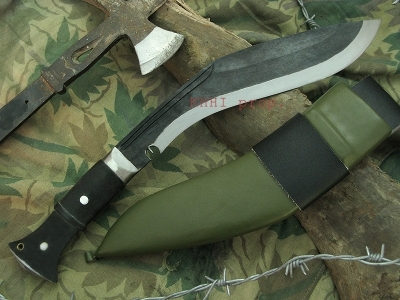 It is obviously not an issue knife but is highly preferred by military as one of the main gears due to its usefulness and impact it can make in any combat situations. 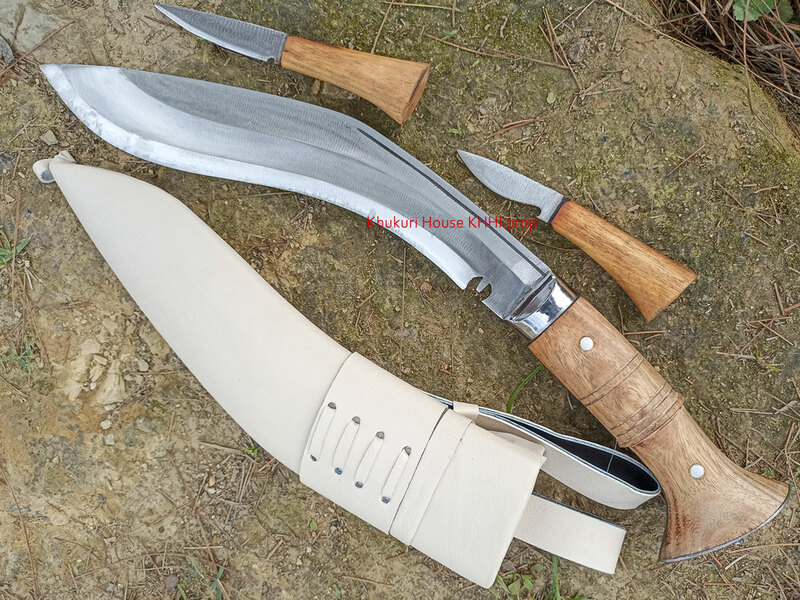 The kukri is especially made keeping in mind the harsh desert conditions and terrains. 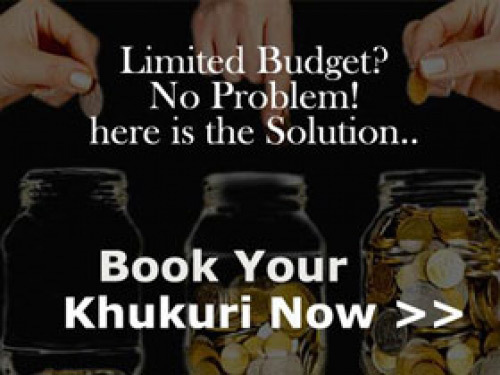 It gives a perfect blend and provides great functionality to the soldier. KHHI did this kukri to pay tribute to the valiant soldiers serving in Iraq and to all the fallen heroes who gave their lives for us. 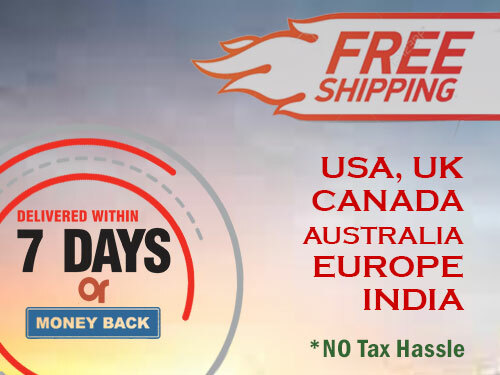 WE SALUTE YOU!! 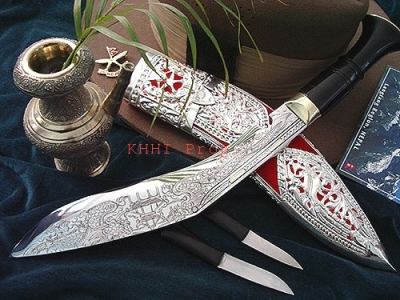 Blade: The length is 11inch long having semi-polished finishing. 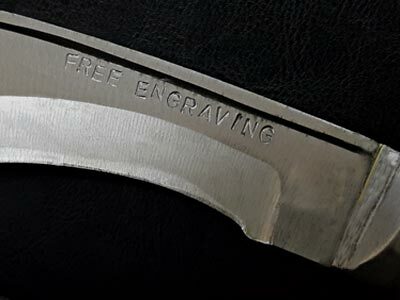 This semi-polished finishing enhances the cutting ability and durability of the blade and also gives a great look. While the panel of the blade has 1 hump/hill that creates 2 fuller/chirra. 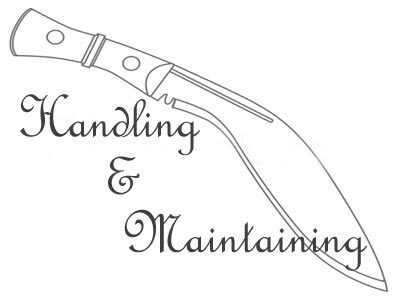 The fullers decreases the overall weight of the blade and also works as shock absorbers for the edge. This minimizes the tension felt by the edge in hard blows. 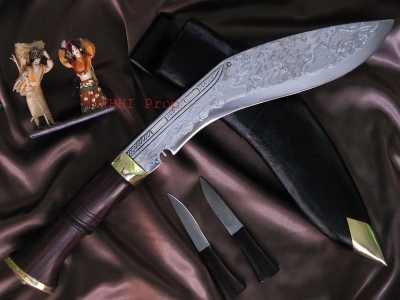 Handle: The famous traditional 'Panawal' handle is used. 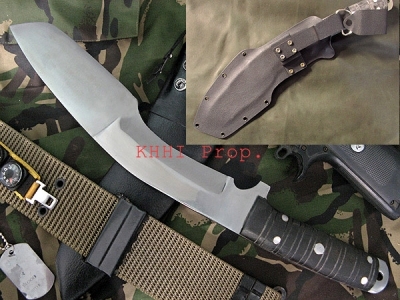 This full flat tang with rivets handle is very strong and dependable. White wood scales are used to give an overall matching look and sturdiness. In the exterior, you can find rings which provide extra grip. 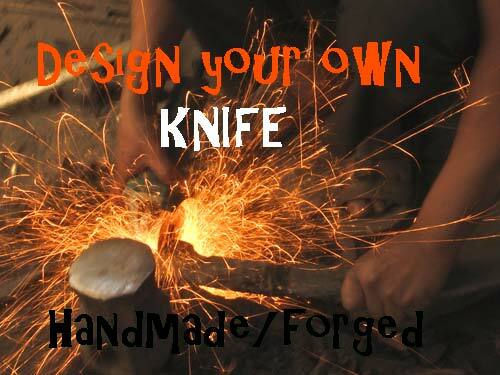 Both the pommel and bolster are made from iron plate to withstand the heavy impact taken by the blade. Scabbard: The scabbard is made of Beige/ Off White/ Cream color leather over wood to match the handle and also the overall look. This traditional sheath has a frog with two belt loops at the back for the military belt go thru. A lanyard loop tip is also fitted to tie around thigh. 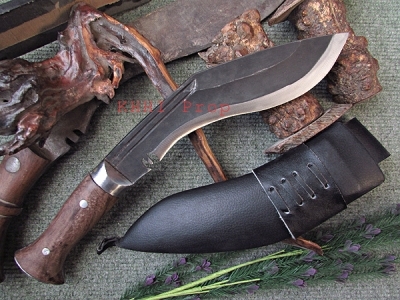 Karda+Chakmak: Two small knives, karda (small knife) +chakmak (sharpener) are included with this kukri.